Have you ever found yourself overwhelmed by a seemingly endless to-do list both at work and at home? Perhaps you’re tackling these tasks with a physical or mental impairment? You’re not alone. Finding a balance between work and the rest of your life isn’t easy, and having a disability can make it even more challenging. 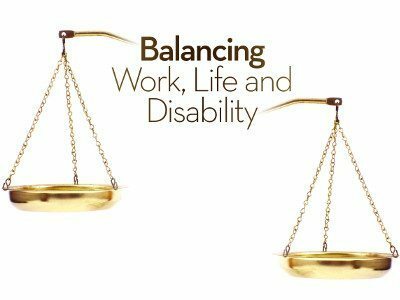 With funding from the National Institute of Disability Research, the Employment and Disability Institute at Cornell University is currently conducting research on the topic of work-life balance and disability. So far, what we understand is that while working contributes to enhanced mental and physical health, as well as to a better quality of life, employed people with disabilities may have even more to juggle than their colleagues without disabilities. Often there are a number of competing obligations, such as a spouse, children, or aging parents who rely on you, making self-care particularly important for workers with disabilities. 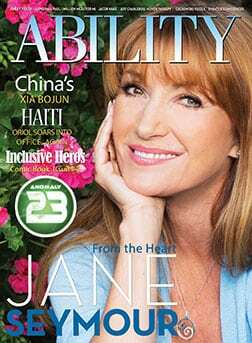 This means setting aside leisure time and participating in activities that promote good physical and emotional well being, including disability management. Carving out time for yourself can make you feel a greater sense of satisfaction. Research indicates that everyday life for people with disabilities tends to be more stressful than it is for their peers without disabilities. The former sometimes worry about the potential impact of a disability on their employment. Additionally, individuals with disabilities may contend with stressors such as difficulty accepting changes in functioning, or worry that they’ll be felled by a health decline owing to secondary conditions or aging. Furthermore, employed people with disabilities may receive less support from coworkers than people without disabilities, an important resource in negotiating work-life concerns. Although the concept of work-life balance has been the subject of research for more than four decades, we are only now beginning to understand it, particularly as it relates to workers with disabilities. Take care of #1 (that’s Y-O-U! ): Eat a healthy diet and get plenty of rest. Exercise on a regular basis. If you’ve been prescribed medication, be sure to take it as directed. Likewise, if you have an assistive device such as a cane or wheelchair, use it as needed to conserve energy so that you have more to give to interests outside of work. Finally, activities such as yoga and meditation can help you feel calmer and more mentally alert. These suggestions can benefit you in the workplace, and have a positive “spillover” effect on your personal life. Seek Support: Identify family and friends who can provide you with a listening ear after a tough day at work, or who can lend a hand in completing household chores. To maintain these relationships, be willing to return the favor when your family and friends need you. Prioritize: It’s hard to feel balanced if you treat everything as equally important. Determine what responsibilities are most critical both at work and at home. Whenever possible, do these tasks during the times that you have the most energy. If you are uncertain as to which tasks are critical, ask your employer and family to help clarify priorities. Don’t be afraid to delegate tasks; you need not do it all yourself. Finally, remember that not everything has to be done perfectly; good enough is often good enough. Take a Break: One of the best ways to help maintain a sense of work-life balance is to take allowed breaks during the workday. Sometimes workers with disabilities may feel they have to work harder than their peers without disabilities, and may therefore resist taking breaks. However, all employees, with and without disabilities, can benefit from taking breaks during the workday. Use this time to do something that will re-energize you, such as taking a short walk in or outside of the office; stretching at your workstation; or reading a short passage in an inspirational or funny book. An easy way to recharge yourself is to take a few deep breaths, exhaling slowly. Check out these resources to help you manage work-life concerns. Employment Assistance: For career counseling, information about job accommodations, and help with finding and maintaining employment, contact the federally funded vocational rehabilitation program in your state: askearn.org/refdesk/resource/76. Leisure and Wellness: Contact your local parks and recreation department, YMCA or public library. These organizations and programs may also provide suggestions to enhance your quality of life. LaWanda H. Cook, PhD, is extension associate at Cornell University, and principal investigator for EDI’s work-life balance research. For more information on the work-life balance study, contact her at lhc62@cornell.edu.